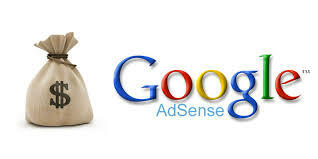 Let me start with this line from Google Adsense Policy on traffic exchange which reads "While traffic exchange services may help bring traffic to your site, we don't recommend using them, as they may lead to invalid clicks or impressions and result in your account being disabled." Ok. Why is that same as using Native Ads network like Content.ad, MGID, Disqus Related Content, Gravity, Zemanta and other alongside AdSense code on your website/blog? Here is, when Native Ads network started, such as Gravity and Zemanta, they were actually built for Peer to Peer (P2P) traffic exchange network where you upload your blog content to their server, then they will be showing your content to other publishers while they will be showing other publisher's content on your own blog too, thereby you all receive traffic via exchange. (I hope you get that explanation?). Mgid, Content.ad, Outbrain and other who only focus on promotional contents. But how will Google know you are not using them for traffic exchange as that is how most of those network started? Note: Zemanta is still doing traffic exchange using Related Post. 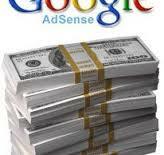 So when you do everything right, have unique contents, genuine traffic from different source, make some cool cash on Adsense, they will come later to review your site, it might not be as quick as you think but one day, you will claim you did all the right things and yet AdSense ban your account.. (but you will not tell us you used them along side Native ads network). AdSense might have eventually whitelist some Native ads companies like Nativo, Outbrain, Taboola and others I don't know about but I know one thing for sure, more than 5 of my friends have been disabled on Adsense just some months after they started using one Native ads network or the other. If you have big buck in your Adsense, stay away from Native Ads network along side the same Adsense to save yourself story that touch. P.S: Google never disclose why they ban anyone, so this piece above is merely my own opinion via observation, it might be wrong, it might be right. You have your mind to discern what to choose.